“By turning your child into a magician with special powers, I create lifelong memories of their birthday. You can relax and enjoy your kids party as I entertain all ages. I love what I do. You and your family will love it too. What’s the Most Important Thing to You About Your Party? 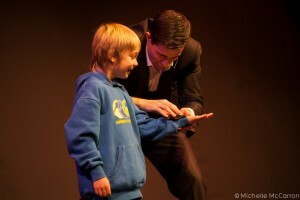 Call me and I’ll make it happen” Brian Daly – Kids Magician Dublin. A 100% Reliable, Professional Kids Entertainer with Over 10 Years Experience. Brian is a kids magician Dublin but covers all of Ireland.